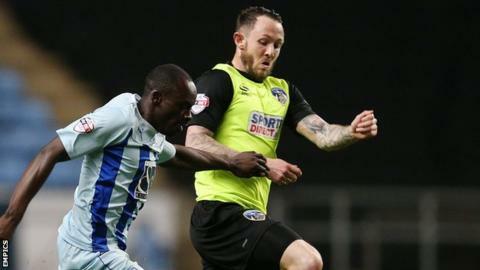 Crawley Town have signed Oldham striker Rhys Murphy on loan and brought in former Watford midfielder Ross Jenkins on a short-term deal. Murphy, 24, has scored one goal in three appearances for the Latics this season and has joined the Reds on a 93-day loan deal. The former Arsenal trainee moved to Oldham in February after a successful spell at Dagenham & Redbridge. Meanwhile Jenkins, 24, will remain with the League Two side until January. He left the Hornets last summer after scoring two goals in 95 appearances during his spell at Vicarage Road. Since then, Jenkins has spent time in the USA where he had a trial with Major League Soccer side Chicago Fire. "I know all about Rhys, he can definitely score goals at this level," Reds boss Mark Yates told the club website. "I'm confident he will make a good impression here if we can get good service into him."